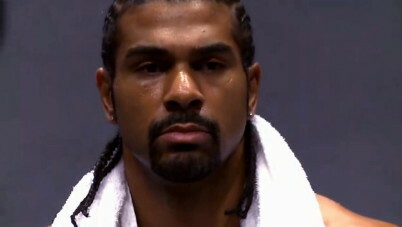 Tyson respects Haye a lot and has said in the past that he feels that he can become a huge star in the sport. But unfortunately, Haye is facing the 6’6″ Wladimir and it looks like Tyson realizes that Haye has got some limitations. One of the problems that Haye has in this fight is his lack of credible experience. Haye has been so busy fighting 38 and 39-year-old heavyweights instead of the young and dangerous heavyweights that Haye has really shortchanged himself in regards to developing as a fighter. By taking on the old timers of the heavyweight division, Haye may stunted his growth because he hasn’t really been tested. But even against old guys, it took Haye nine rounds to defeat John Ruiz, 12 to beat Nikolay Valuev and 5 to defeat Monte Barrett. This tells me that Haye’s power at the heavyweight level may be vastly overrated and not cracked up to what many people think it is. If Haye was a huge puncher at heavyweight don’t you think he would have destroyed Barrett, Ruiz and Valuev in the first two rounds? I’m with Tyson. I see Wladimir destroying Haye in one or two rounds at the most. Haye is too small and not powerful enough to give Wladimir any problems.